If you have any information about these crimes or any person(s) involved, you are urged to call Crime Stoppers at 216 252-7463 or submit a Web Tip. You do not have to give your name. CRIME STOPPERS will pay a cash reward for information that leads to an arrest and conviction and you can remain anonymous. 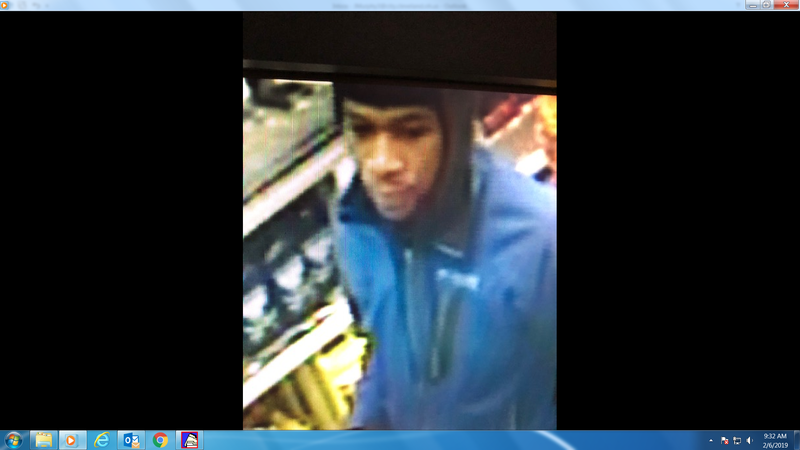 The two photos are of a male who is wanted for two robberies In Maple Heights, Ohio. On 12/16/17 the Rascal House Pizza on Northfield Rd. was held up and robbed. 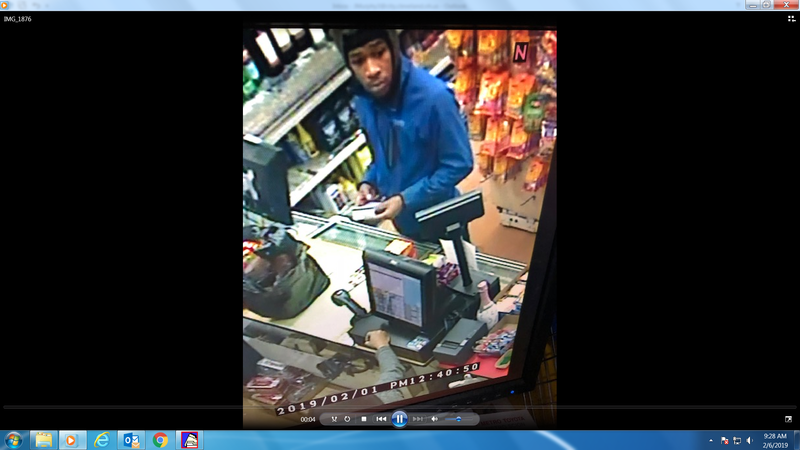 On Feb. 24, 2018 it is believed the same male held up and robbed the China Wok on Dunham Rd. The male was armed with handguns and fired a shot during the Pizza robbery. The male is considered armed and dangerous. Up to $2500 cash reward for info leading to the arrest of this suspect. Remain anonymous. Euclid Beach Villa Apartments East 156th Street. Two elderly women were assaulted and robbed on East 156th Street in Cleveland. These photographs are of two suspects in this crime. The photographs may or may not be of the same male. In one instance the male on the left carjacked a 70 year old woman at gunpoint, and stole her black Kia Forte. The other picture depicts a male punching a 62 year old woman and attempting to steal her purse. Any tip that leads to the identification and prosecution of the person or persons involved in these vicious attacks may receive up to $2,500 in reward money. Remain Anonymous. Up to $2,500 in reward money. 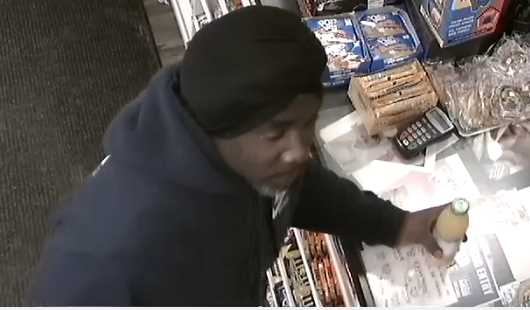 In late January and early February the BP Gas Station at 2159 South Green Road in University Heights, Ohio was robbed at gunpoint on two occasions by three black males. The suspect vehicle is a Gray Kia Sorento. These same males may have robbed the Verizon store at 2197 Warrensville Ctr. Road on 1/28/19. 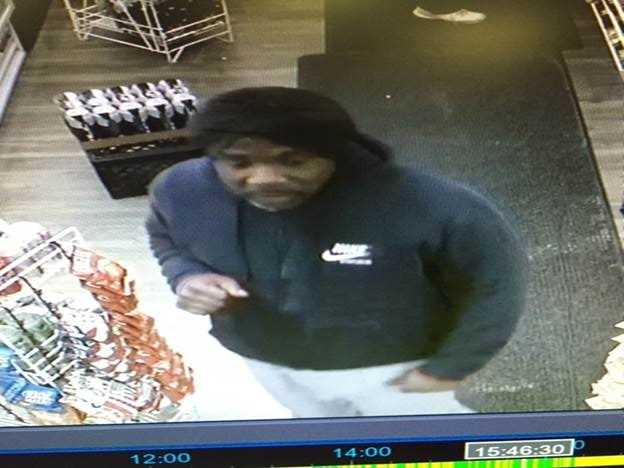 On 2-1-19 a male left the Denley Market located at 4059 Valley Rd. and was walking home. A suspect came up from behind and put a gun to his head and went through the victims pockets taking $180. 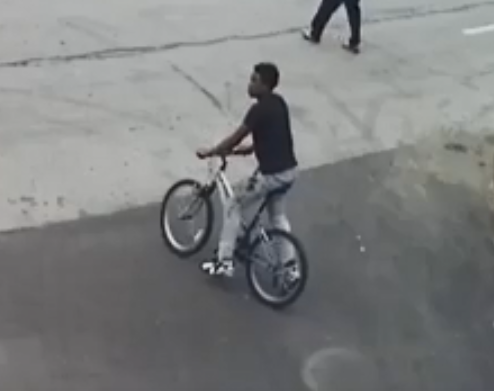 If anyone recognizes the male above please contact Det Murphy at 216-623-5217 or call crime stoppers at 216-252-7463. On Thursday January 24th, the home of Yvonne Pointer on East 114 Street and Orville Avenue was broken into. The crime occurred in late morning and the suspects used force to enter. A number of items were stolen. As a community activist, Ms. Pointer has done much for her community and humanity not only in Cleveland but also in developing countries. This crime needs to be solved. Any information that leads to an arrest and prosecution may result in a cash reward. On Saturday 1/12/19 unknown persons broke into Bedford Recycling at 144 Northfield Road, Bedford, Ohio late at night. Suspects entered through a side cinder block wall. Once in the building, suspects used tools to peel open a safe. Stolen was cash, precious metals, firearms, and checks. Anyone with any information on this crime is asked to contact Crime Stoppers. Tipsters learning of anyone with precious metals for sale should contact Crime Stoppers. OCCURRED. CRIMES STOPPERS WILL PAY A CASH REWARD UP TO $2500 FOR INFORMATION LEADING TO THE INDICTMENT OF ANY SUSPECTS INVOLVED IN THIS KILLING. Anthony Ricardo Bey was struck and killed by an auto on Sunday 10/28/18 at 12519 Oakfield Avenue at 2:30 AM. The driver of the vehicle did not stop. The auto may be a mini van or cross over style vehicle, light in color; possibly silver. if you have any information on this hit skip please contact Crime Stoppers. You may remain anonymous and may be eligible for a cash reward. On Thursday 11/16/18, in the afternoon, Lesley Dejesus was run over and murdered at the Archwood Church of Christ, 2804 Archwood Ave. Cleveland, Ohio. Lesley Dejesus, her husband and her two young children were volunteering at the Church when two males attempted to hi-jack the family van. 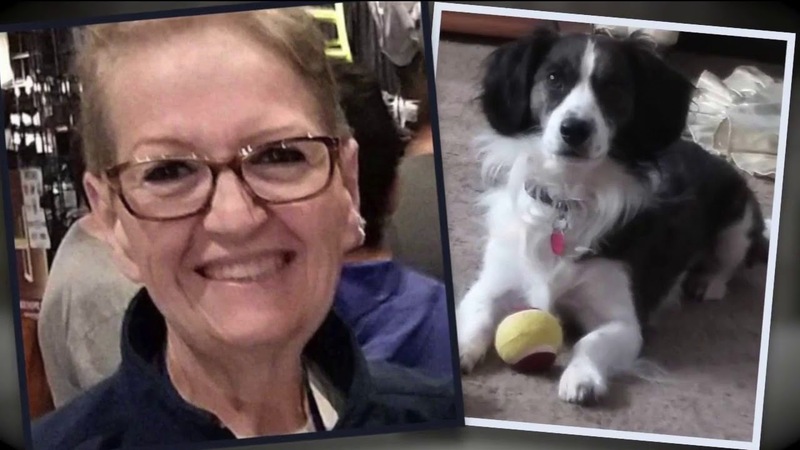 The family confronted the two suspects who drove the family car onto Pearl Road, with Lesley and her husband holding onto the doors. Eventually one of the suspects drove over Lesley, killing her. The suspects are described as two young black males, one wearing a blue jacket and the other a grey hoodie. Tipsters remain anonymous, never giving their name. Please help solve this horrendous crime, contact Crime Stoppers. Tuesday November 13, 2018 D'Shane Hawkins was shot and killed in the area of 138th Street and Lambert Avenue. The shooting occurred at 10:30am while D'Shane was working his job as a City of Cleveland Sanitation employee. All tipsters will remain anonymous. If your tip leads to an arrest and indictment you may be eligible for a cash reward up to $2500. Contact Cuyahoga Crime Stoppers with any information. On Halloween night, two 13 year old children were attacked and robbed on Meadowood Blvd. in Lyndhurst, Ohio. The attack occurred around 8PM as the children were returning home. The children's candy and a cell phone were taken. 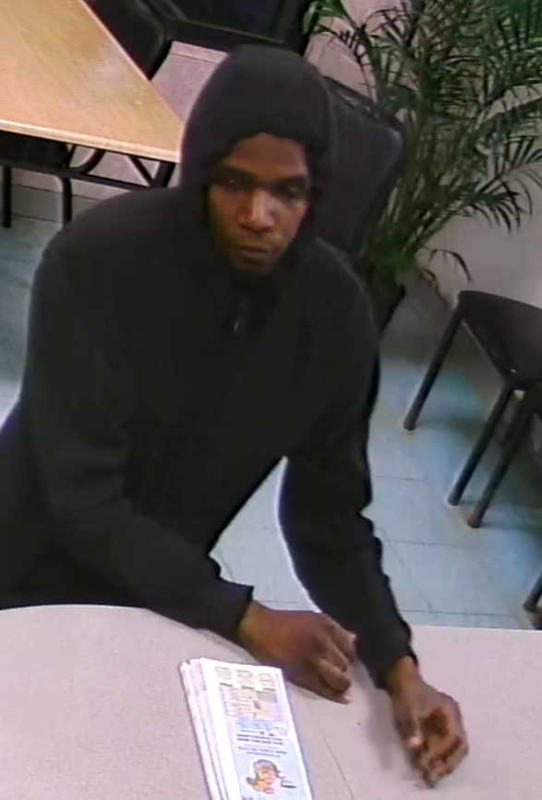 Crime Stoppers will pay up to $2500 in reward money for information leading to the arrest and indictment of any suspects involved in this attack and robbery. 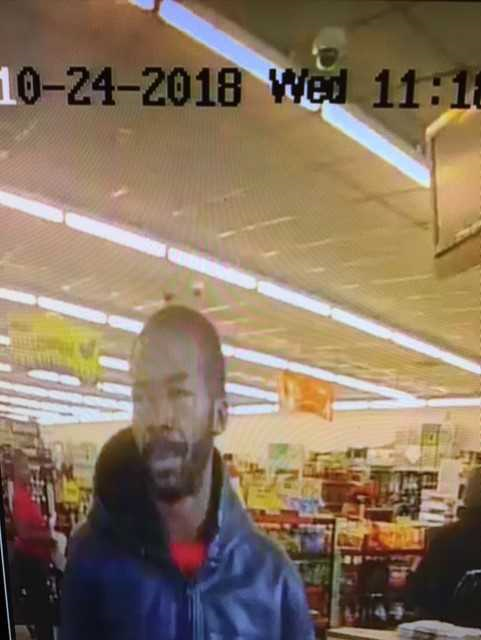 On 10/24/18 the pictured male pulled a knife during a theft at the Family Dollar Store at 7415 Superior. The male threatened an employee. 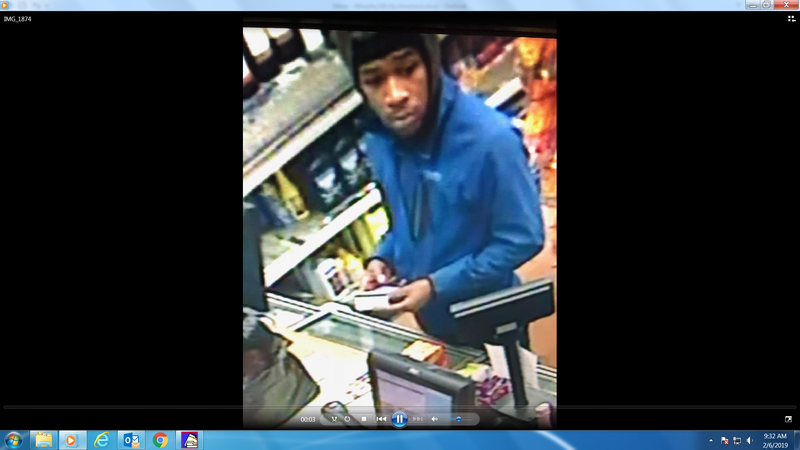 Remain anonymous and receive up to $2500 in reward money if your tip leads to an arrest and indictment of this male. 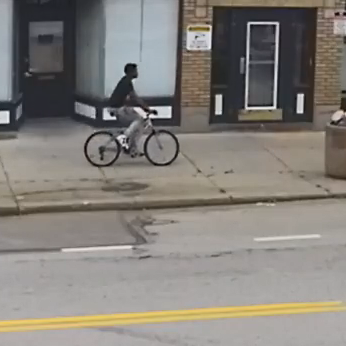 Crime Stoppers and Cleveland Police are seeking information on the below described crime. Remain anonymous. At 10:15PM on Friday September 21st a male broke into the E.65th Street home of an elderly couple. The suspect forced the man and women to the ground and beat the man with a wooden club and threatened both parties with a knife. The suspect was able to steal a small amount of money before fleeing the scene. 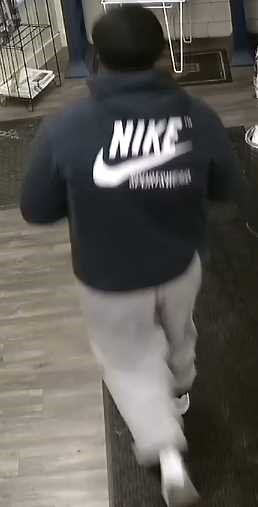 The suspect is described as a black male, 5'-6" to 5'8" in height, mid 20s to early 30s in age, wearing a black hoodie and black pants. Crime Stoppers will pay up to $2500 in cash for any tip that leads to the arrest and indictment of the suspect or suspects in this case. A 94-year-old woman died after a violent home invasion early Monday. According to Cleveland police, it happened at just before 1:45 a.m. in the 6200 block of Gertrude Avenue. According to police, the suspect entered the home through a window and confronted the 94-year-old woman and a 74-year-old woman who were sleeping in a bedroom. He then physically assaulted both women and took property from their home. The women were taken to the hospital. The 94-year-old, identified as Eusevia Garcia, was pronounced dead at the hospital. The 74-year-old woman, Marina Garcia, is in the hospital being treated for head trauma. 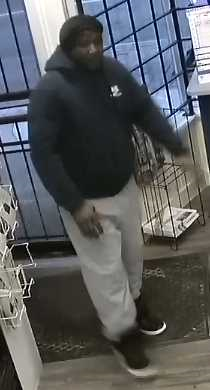 The suspect is described as being a tall, skinny black male around 25 years of age. Crime Stoppers is offering up to $2500.00 in reward money for information leading to the arrest and indictment of person or persons responsible for this crime. Unidentified Female - Engle Rd. at 5920 Engle Rd in Cleveland. Cleveland Police Homicide and Crime Stoppers are seeking information on this murder. Crime Stoppers is offering up to $2500 in reward money for any tips leading to the arrest and indictment of person or persons involved in this murder. Antoine Reese was shot to death at 11:40pm on Monday Sept. 17. Reese was killed in the hallway of a house. Crime Stoppers is working with Cleveland Police Homicide to solve this crime. 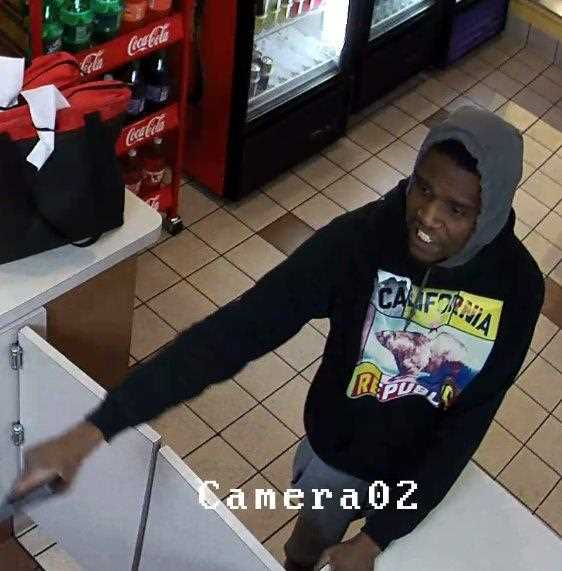 Crime Stoppers will pay a reward of up to $2500 for information that leads to the arrest and indictment of person or persons responsible for this crime. Remember tipsters remain anonymous. Gerald A. Hays was shot to death on September 17, 2018 at 1018 E. 146th Street in Cleveland. Hays is a 26 year old male who was shot around 8 O'clock in the evening. Crime Stoppers is offering up to $2500.00 in reward money for information leading to the arrest and conviction of the person or persons responsible for this homicide. 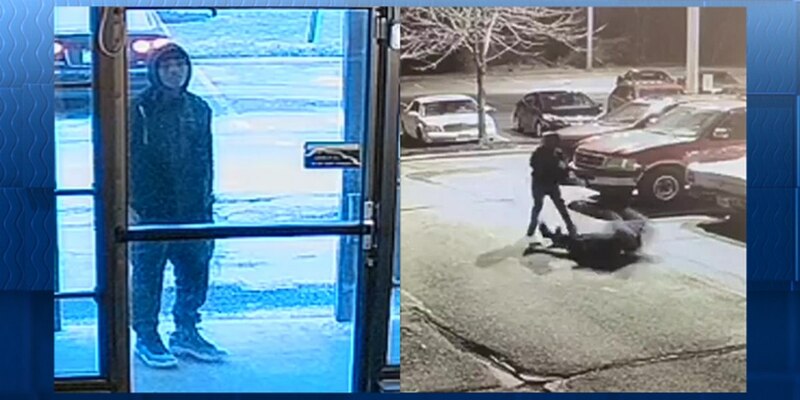 Crime Stoppers is asking for the public's assistance in identifying suspects in an attempted carjacking this morning at 630 in a parking lot on West 150th near I-71. A lady had just gotten out of her van when a car pulled into the parking lot and stopped close to her. A male was seen exiting the vehicle from the front passenger seat with a gun in his right hand. He yelled "drop the keys" and "give me the keys" at the lady. She began to scream and ran in the opposite direction. The suspect got back into the car and they fled the area. If anyone has information on this crime or can identify the suspect(s) contact Crime Stoppers of Cuyahoga County. You can remain anonymous and if the information you provide leads to an arrest and indictment you are eligible for a cash reward.